There's one thing that we realised a long time ago - that our course attendees like to learn in different ways to suit their busy lifes. 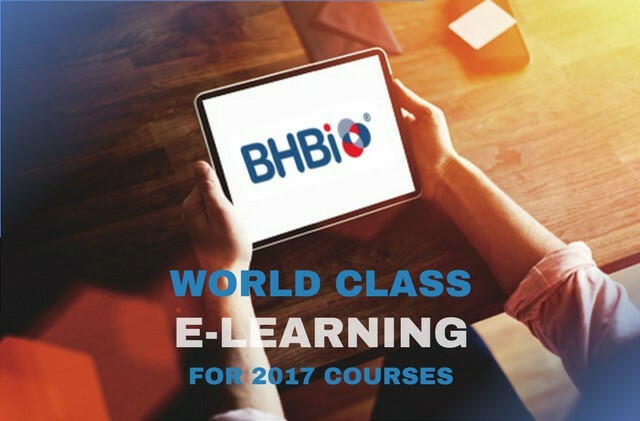 In addition to real-world training, all BHBi's courses have world-class online complementary material. Meaning you can learn, revise, empower your progression in your way and in your time. You can watch that audit seminar in your favourite coffee shop, discuss online with other auditor course participants whilst your child is at their swimming class, or revise course material whilst your other half is watching their favourite soap opera. Mark Barnes, Director at BHBi said, "We are extremely busy rolling out material, documents and video to our brand new online learning platform. It's all part of our investment in you and your career progression." The new online learning platform will be available from early March. For a demo, please contact us.